A great alternative to glass; Acrylic business signs are a timeless medium for high quality signage. Not only do Acrylic office signs look smart and professional, they have a premium feel which is suitable to use as stylish interior signage or external shop signs. 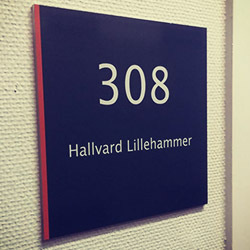 There are many uses for acrylic signage, some of the most popular are; room numbers, directional signs, shop signs branding inside offices. The acrylic sign lettering can be mount printed or face printed and can be attached to a wall flat or on stand-offs. 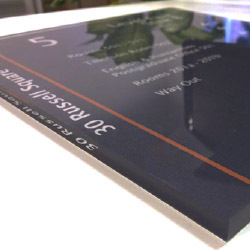 At Dock Street Signs we try to make sure your Acrylic Office Wall Sign is produced to your exact specification. We can print onto the front of the sign or for transparent acrylic your design can be printed on the reverse of the sign with the Acrylic on top to make your design resistant to scratches. 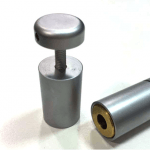 We can produce all acrylic signs to a Custom Size, if you choose to mount your sign with stand offs we can offer you pre-drilled holes with aluminium stand-offs and Diamond Polished edges to allow for a premium glass like finish. With acrylic signs, you have the option to print with white ink. It is a striking and colour-accurate alternative to the standard colour of your chosen material. Our team of designers can help product the artwork for the acrylic signs. Our installers can also visit your site to put up your window vinyl if you don’t feel confident doing it yourself. If you are looking for an acrylic perspex sign in Leeds then fill in the quote form below and we will get back to you with a price. Alternatively call 01133226442 or email info@dockstreetsigns.co.uk. We also offer other external signage, internal signs, rigid media, vinyl and event media.